from FMBT and wanted to say hi. 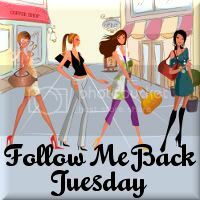 Happy Follow Me Back Tuesday! You have a really great blog here! Newest follower from Follow Me Back Tuesday! Hi! Thanks for stoppping by my blog! Following you back!